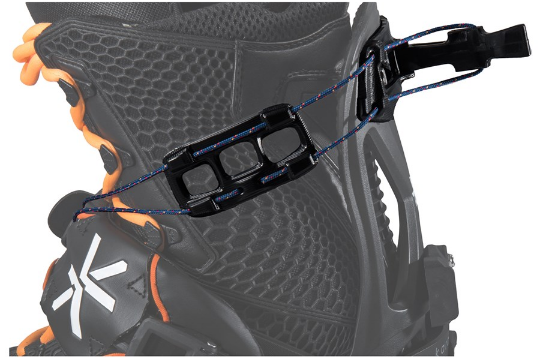 Tried and true backcountry tools that combine light weight with high performance, the Karakoram PRIME SL W + Split Interface + Flex-Lock Splitboard Bindings are at the leading edge of tech. One look at these babies and you can tell the development that's gone into their design: they address every problem a splitboarder can face on a backcountry tour, head-on. 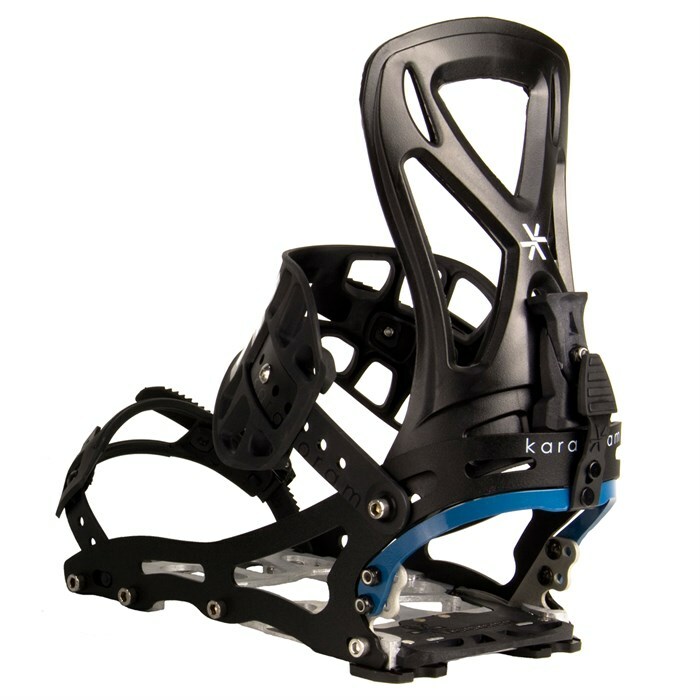 Karakoram has taken every opportunity to shave weight, ensuring you're not lugging any unnecessary material uphill, while keeping a precise and predictable ride down. Their proprietary interface is second-to-none, with lightning-quick transitions and rock-solid connections in both touring and ride modes. These bindings are sized for women, with lower highbacks and shorter baseplates with narrower toeboxes. This package includes a Split Interface and Flex-Lock straps. 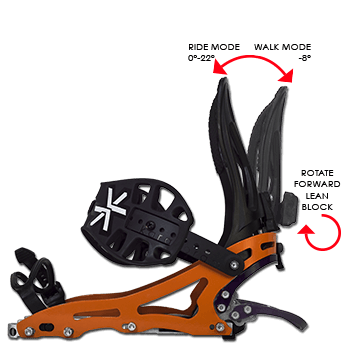 Mount these bindings to your splitboard and see if the crew can keep pace! 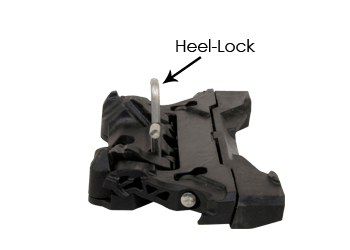 DualSpeed Risers  Two heights with retractable heel lock for simple, durable switching. Use only your ski pole basket to engage. 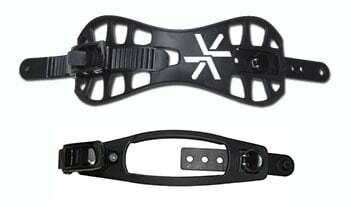 Flex-Lock  Attaches the highback to your boot with a cord and lever system for better edge control on sidehills. Heel-Lock  On-the-fly heel lock down. Release load equivalent to DIN 6. Active Joining  No slop with instant response. Pre-loaded contact points create an ultra solid connection between your bindings and splitboard. Interlocking Seam Tabs  No separation: tabs interlock across the seam of your board, interlocking and pre-loading the two halves for a solid ride. Ride Mode 2.0  Easy snow clearing, drop-on change-overs, and no slop. Ride Mode 2.0 ensures the most solid connection between all your components. 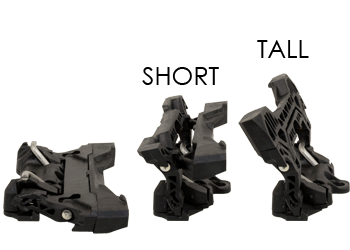 Dual Ride-Stride  Triple position instant forward lean adjuster for quick adjustments from mode to mode and while riding. 7075-T6 Aluminum Heelcup  Twice the strength of standard aluminum, with CNC cutouts to minimize weight. 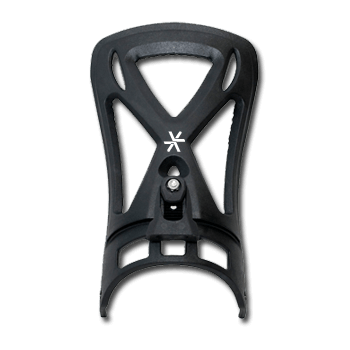 Sidewall cups and supports boot for excellent fit and power transfer. 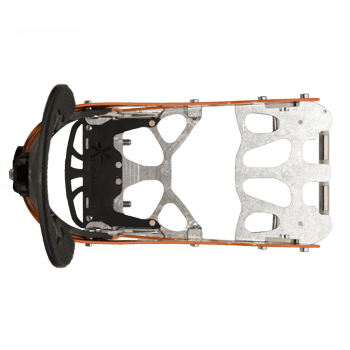 Open Chassis Design  Allows your board to flex naturally on its own, unaffected by bindings. Airform Straps  Independent Pressure Pods articulate to boot eliminating pressure points and pinch points. Air-Flow Highbacks  Super light, Flex-Lock compatible.